On Tuesday, Joshua and I ran some errands and attended two meetings and in between we snapped these colorful photos! I recently made a list of old items in my closet to wear again this spring/summer and this top and skirt were both on the list. Turns out, they go great together. I’m glad to have a new way to wear this cheerful top that’s versatile enough for a busy day! Approx. dates: Skirt is 4 years ago. Top is 3 years ago. Earrings, shoes are last year. Purse is recent. Truth be told, I like the concept of an olive jumpsuit better than this particular one. It has some fit issues (check out the puckering above the waist in picture #2) and the material is a bit too “beach casual” to dress up with heels. It’s going back (I actually thought I loved it until I saw the pictures! ), but this post still has a happy ending. If you’re into olive jumpsuits like I am, then check out lots of alternative options you can shop below! Approx. dates: Shoes are 5 years ago. Purse is recent. Necklace and jumpsuit are new. 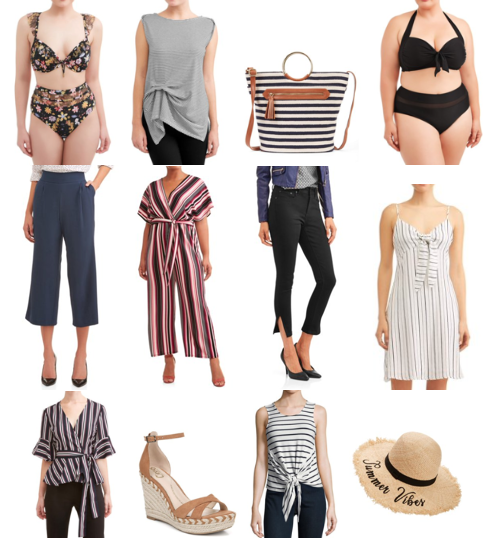 We are proud to partner with Walmart and ShopStyle for today’s post. Sponsors are carefully selected in conjunction with our mission statement to bring you style content we think you’ll love! All opinions and editorial decisions are solely my own. I’m back for part two with Walmart’s We Dress America campaign! In my first post, I styled a pair of white denim with bright yellow and pink. 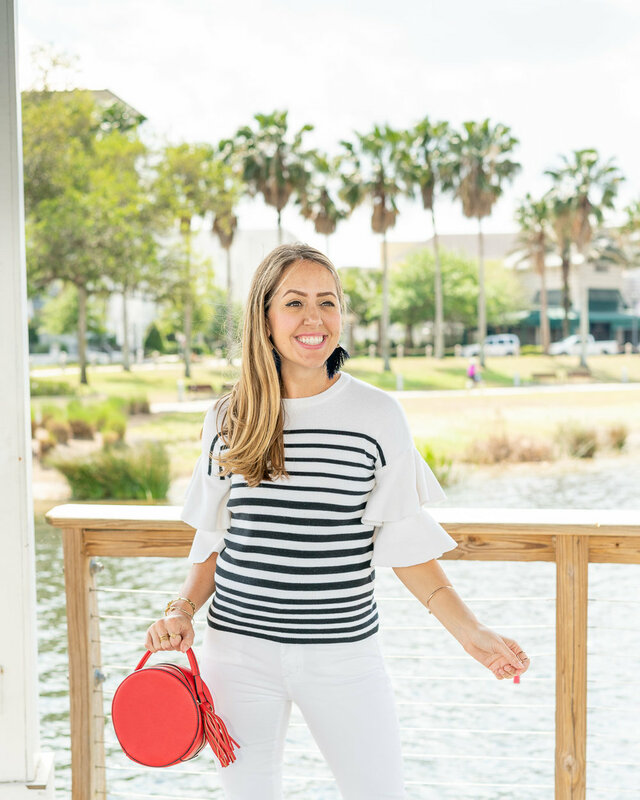 Today, I’m rocking the nautical theme with a red, white, and blue color palette at one of my favorite hang-out spots in Orlando - Baldwin Park. My dress, sweater, straw tote, and red purse are each under $20 from Walmart, and my white jeans and black shoes are brand-name items from the Lord & Taylor shop on Walmart.com. I am especially impressed by the quality of the sweater and sunglasses, and these espadrilles are already on repeat in my closet! This campaign is all about inclusiveness and diversity - everyone is welcome to participate! So check out more favorites below, head to Walmart to start shopping, and be sure to post your finds using the hashtags #WeDressAmerica and #WalmartFashion! This outfit contains all the style things I’m loving to wear most right now: linen, button details, balloon sleeves, white shoes, straw bags! Worn together, it has a decidedly vintage vibe and feels oh-so-spring. Is linen a fabric you love to wear? It’s trending but also feels so classic! Approx. dates: Earrings are last year. Jeans, shoes, purse are recent. Top is new.